Architect 3D provides an assistant, tools, and libraries to help you at every stage of your creation: launch, design, equipment, and decoration. For designing your house, wall by wall. Click in the design window. Hold down the mouse button and drag. The wall follows the pointer, and its length is displayed automatically. Release the mouse button when the desired wall length is achieved. Repeat to draw each wall. Architect 3D automatically connects walls to form corners. Click the Animated Fly-Around button to rotate your design in 3D view. 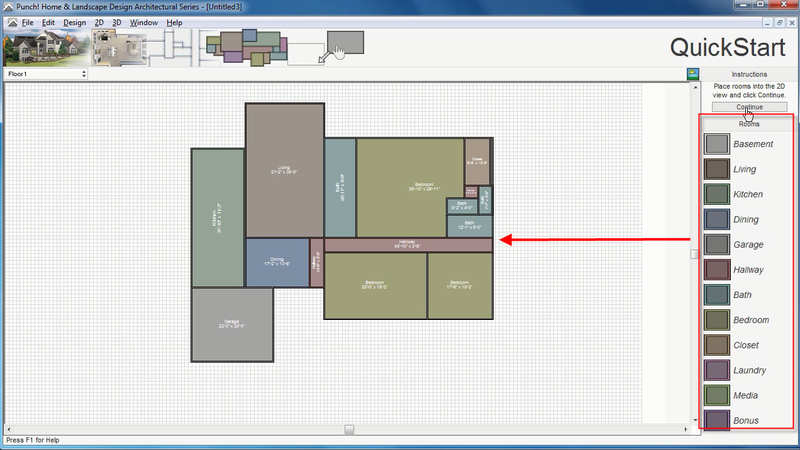 Drag and drop the room types listed on the right into the design window. Use the corners of each of your rooms as handles for resizing them. 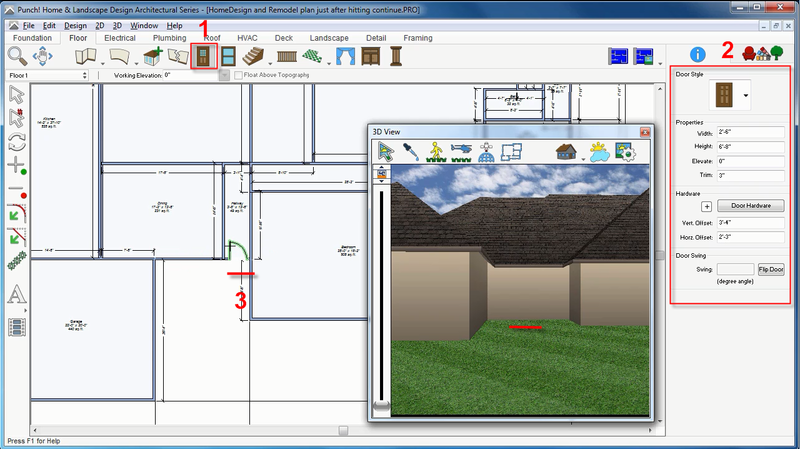 Click the plan tab you wish to work on, the Floor tab in this case. Next, select the desired tool, the Door tool has been chosen here. If necessary, use the Properties tab on the right to configure the selected tool. Use the infotip for each tool, outlined in green in this example, to see how to use the tool on your plan. Click the Libraries tab and select the Objects library from the pop-up menu. Click inside the categories pop-up menu and select the library and category you wish to view. Its content appears in the preview bar. Scroll through the list of available objects. 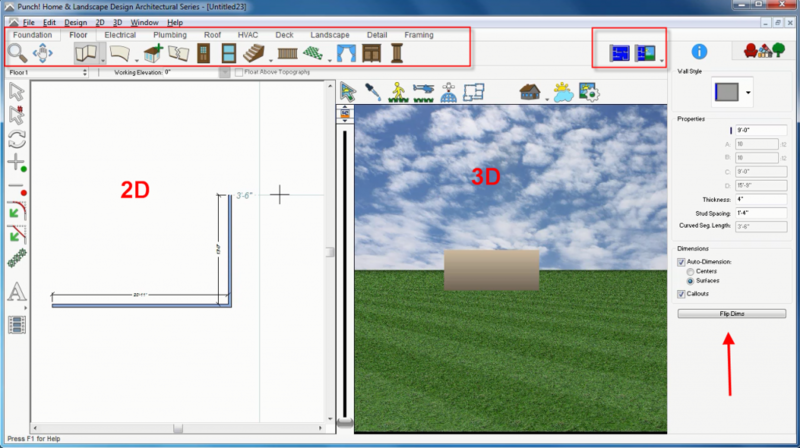 Click the chosen item and drag it straight into your 3D view to position it. 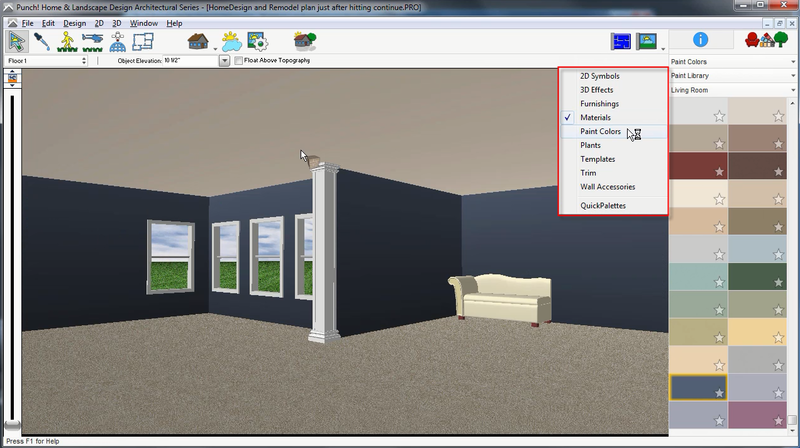 Click the Full-screen 3D View icon to apply a colour to your walls. Click the Libraries tab and select the Colours library from the pop-up menu. Click inside the categories pop-up menu and select the library and category of colours/paints you wish to view. Its content appears in the preview bar. Scroll through the list of available colours. 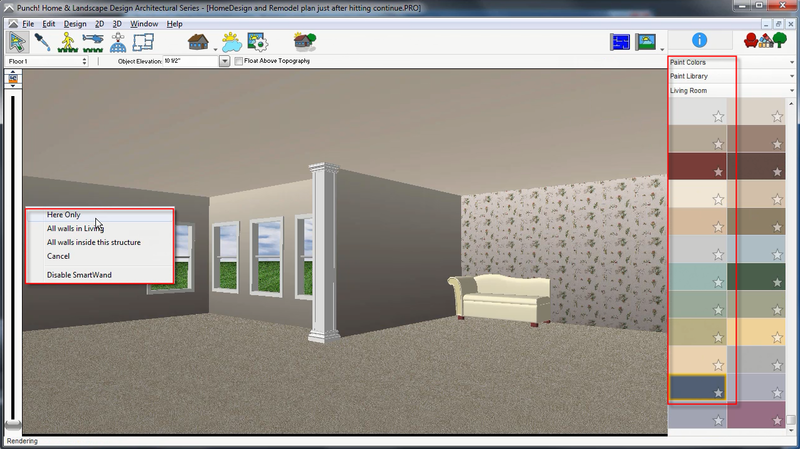 Click the chosen paint and drag it directly onto the wall in your 3D view to apply it. Select the desired application in the menu that appears.